Amsterdam, 1616. 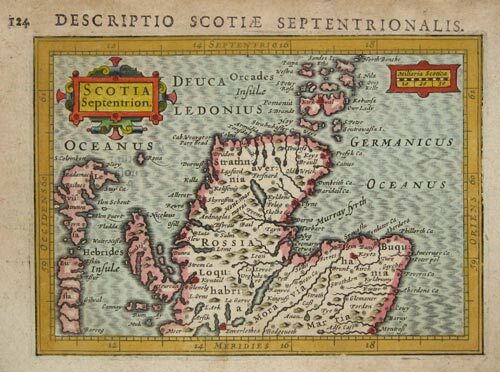 Scotland north of Montrose, after Mercator, published in an edition of Camden's 'Britannia'. Amsterdam, 1636, German text edition Decorative map of Scotland with two large cartouches and an inset of the Orkneys. The first issue of this map: the English edition of the same year used the old Mercator map. Early map of northern Scotland. Padua, Lasor à Varea, 1713. Northern Scotland, engraved by Girolamo Porro for Porcacchi's 'Isole del Mondo', 1572. The islands are shown far larger than they should be and tightly packed. Nuremberg, c.1720. 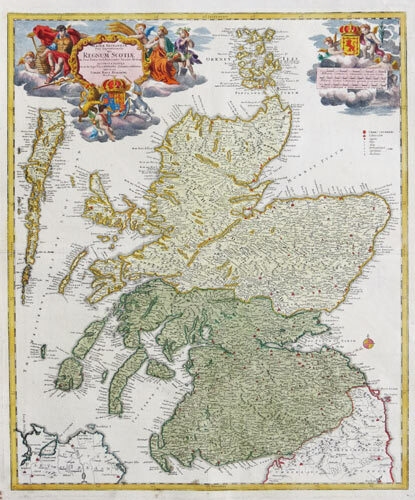 Scotland in bright original colour, with allegorical cartouches for the title and scale, both in full colour..
Venice, 1776. Scotland, with a vignette title cartouche and a scroll-line inset of the Shetlands, published by Zatta in his 'Atlante Veneto'. Vienna, 1795. 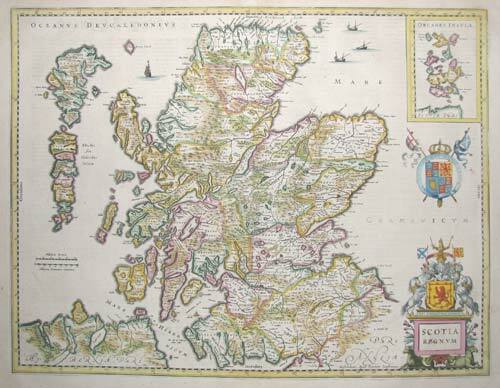 Large map of Scotland, with an inset of the Orkeys and Shetlands. Venice, 1795. 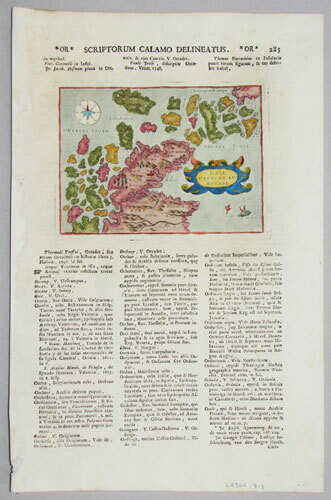 Two sheet map Scotland, each with a vignette title cartouche, published by Zatta in his 'Atlante Veneto'. A Turner Landscape of the River Clyde. London, Charles Turner, 1809. Women bathing under a waterfall on the Clyde, the river that flows through Glasgow, Scotland's most important maritime city. 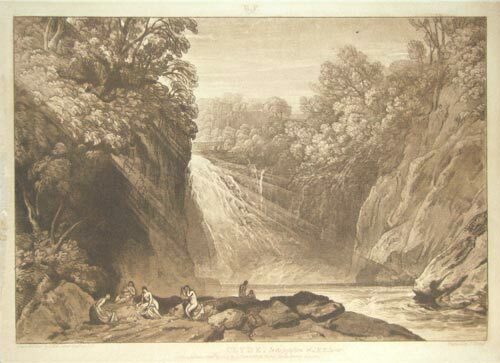 Published in Turner's 'Liber Studorum', a collection of views by the English master of landscape, with plates engraved by Charles Turner (no relation). 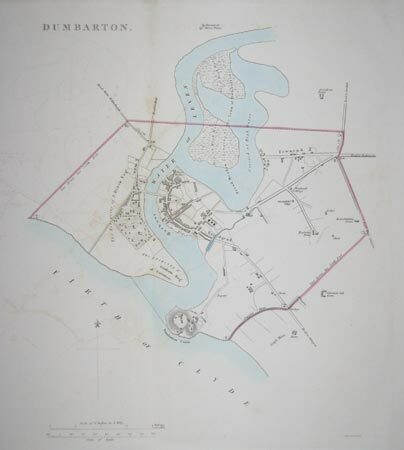 Dumbarton according to the Reform Act. Paris, Basset, c.1770. A view looking up at Edinburgh Castle from the streets of the city. Vüe d'optiques were designed to be looked at through an optical viewer called a zograscope, which reversed the image. This accounts for the title engraved backwards above the image. Leipzig: G. Schubert, c.1860. View of Edinburgh from near Arthur's Seat. London, Kelly, 1817. View of the city from across the Clyde River.